Situated in San Bartolome de Tirajana, this hotel is within a 15-minute walk of Pilancones Natural Park and Palmitos Park. Aqualand Maspalomas and Yumbo Shopping Center are also within 9 mi (15 km). This family-friendly San Bartolome de Tirajana resort is located near the beach, within 1 mi (2 km) of Maspalomas Botanical Garden, Maspalomas Lighthouse, and Maspalomas Golf Course. Yumbo Shopping Center and Meloneras Beach are also within 3 mi (5 km). How Much is a Hotel Room in Los Palmitos? Hotels in Los Palmitos start at $122 per night. Prices and availability subject to change. Additional terms may apply. 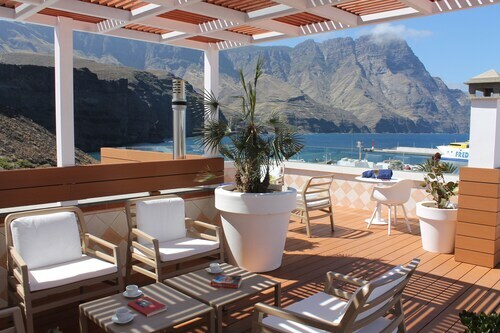 If you are thinking about visiting Gran Canaria and are on the lookout for a hotel near Los Palmitos, Travelocity has a wide list to ponder over. Travelocity's extensive and up-to-date database is where you will find 147 hotel options within a 6-mile (10-kilometer) distance of Los Palmitos's center. Found within easy driving distance of Los Palmitos, are the Radisson Blu Resort, Gran Canaria and Bohemia Suites & Spa - Adults only. 7 miles (11 kilometers) from downtown Los Palmitos, you can find the Grand Hotel Residencia. Alternatively, the Seaside Palm Beach is about 7 miles (12 kilometers) away. 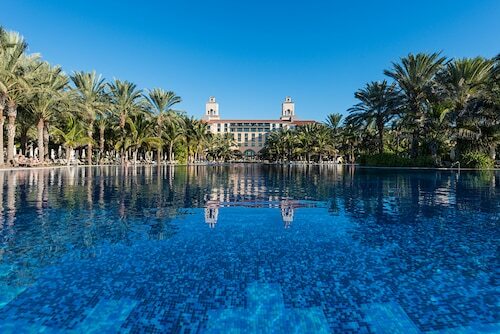 Alternatively you could investigate the Lopesan Baobab Resort or the Villas Salobre. After you have enjoyed Los Palmitos, save some time to visit the diverse activities of the Canary Islands area. Get to know Canary Islands's old towns and don't forget to fall in love with the region's beaches, coastal plains and mountains. In this part of Spain visitors can also try their hand at mountain biking. Looking for things to do? Consider spending a day or two enjoying Parque San Telmo and Plaza Espana, in Las Palmas de Gran Canaria, 20 miles (34 kilometers) northeast of Los Palmitos. The Hotel Sercotel Cristina Las Palmas and Hotel Santa Catalina are just a handful of the Travelocity short and long-stay choices in Las Palmas de Gran Canaria. 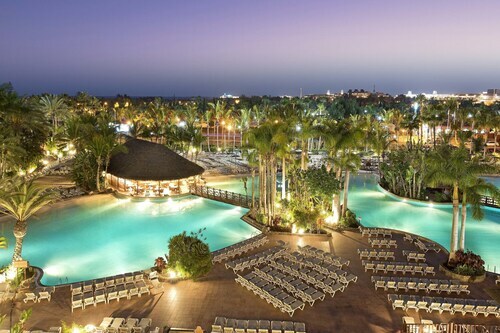 5 miles (8 kilometers) to the south of Los Palmitos, you'll find Maspalomas, which is home to the Hotel Riu Palace Oasis - All Inclusive and LOPESAN Villa del Conde Resort & Thalasso. Whether you're just passing through or staying in Maspalomas, be sure to venture to the Maspalomas Botanical Garden and vacation World Maspalomas. Make sure you spend a few hours enjoying the skills of players with some of Gran Canaria's lovers of sport at a community sporting fixture. You can find Estadio Gran Canaria 20 miles (33 kilometers) to the northeast of Los Palmitos. Stay near the sporting action at the Hotel THe Fataga y Centro de Negocios or the Hotel Astoria. Now that you've read about the available hotel options in Los Palmitos, make sure you visit our Los Palmitos area page for local secrets on things to do and see in this part of the world. Clean rooms, nice friendly staff. 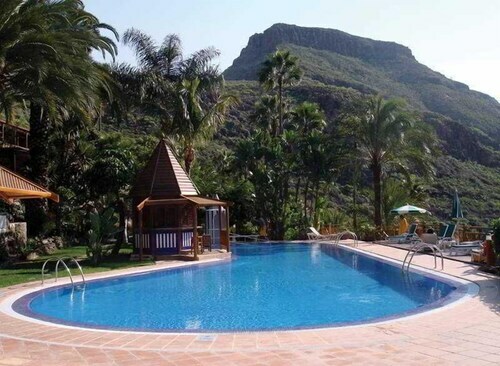 Great location, near shops restaurants and walking distance to the ferry to Tenerife.